When u say African features black then u have (#1 lupita nyong’o) and she’s cute when the lights are off second is (Ajuma nasenyana) sorry but ewww so the black beautiful women u try to boost up is technically light-skinned or brown-skinned. Gilbert Arenas obviously likes the taste of his foot in his big mouth, so this is what happens when one is starving for attention. Gilbert..it’s time that you get a life!! We anticipate he is not phased by the backlash he is receiving. So expect him to say something else disrespectful and stupid, just keep your eyes peeled and ears opened. 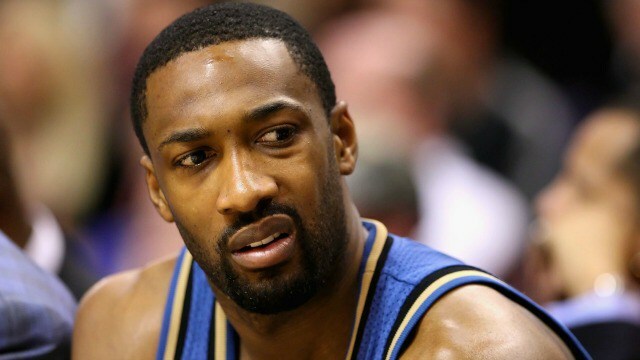 Former NBA Player Gilbert Arenas Says He’s Blocking All Girls From Flint Michigan Because They’re Dirty & Wahing Their A$$ With Dirty Lead Water!